As I mentioned last week, some months are years long, and January has been so for me this year. I've eased back into routines of writing that I'd set aside for a bit, while I worked on life projects. I've been pleased to be able to add writing and still make progress on these other necessary (if dull) bits of life. Which is not to say that January has been "a fabulous writing month" in any way other than the fact that I've been doing it. And maybe that's all that's required. Consider: "[W]riting, like fire, was a gift from the gods. Letters were sacred. 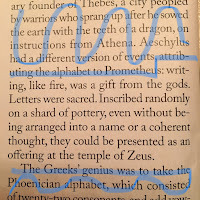 Inscribed randomly on a shard of pottery, even without being arranged into a name or a coherent thought, they could be presented as an offering at the temple of Zeus." 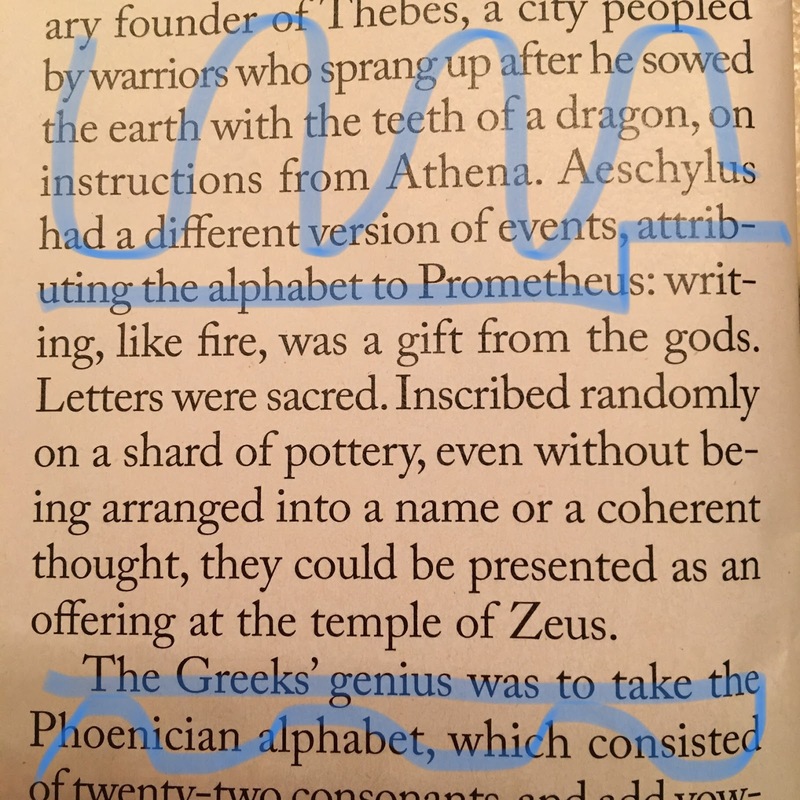 From "To the Letter," by Mary Norris, in the January 14, 2019 issue of The New Yorker. That's reassuring, isn't it? Incoherence is OK. All you have to do is inscribe some letters. Just try.